I love to add at least one cooked ingredient in the salad which makes it more palatable. Too much raw vegetables just doesn’t work in my case. I actually enjoy spreading grilled veggies over some fresh greens the most. For example like the Beetroot And Sweet Potato Hash over spinach leaves. In this recipe for Chicken Salad With Apples And Cranberries (Paleo, Whole30) the cooked part is represented by the grilled chicken, which also fulfils another tip – protein. If I would like to enjoy a salad as a main course it always has to contain a decent amount of protein. Otherwise I would end up hungry half an hour later. Then adding a good source of fat and a perfect salad is almost done. In this case it’s the Homemade Mayonnaise and walnuts providing the fats which help you to digest all the nutrients better. And the last tip is to add something “funky” to the game. Twist things up a little. Use your imagination and go wild. As you could see, this chicken salad is actually not so much different than a classic Waldorf as you know it. But I added some cranberries to make the salad a bit more tangy and interesting. There are so many options to make salads fun, don’t be afraid. Maybe try using the ingredients that you really like first. And then slowly add few new things. Many fruits, nuts and seeds can do wonders to a basic salad. And don’t forget that the palate changes quite a bit as we grow and also with changes in the diet. So maybe you’ll surprise yourself and will enjoy some vegetables or fruits you once used to hate. 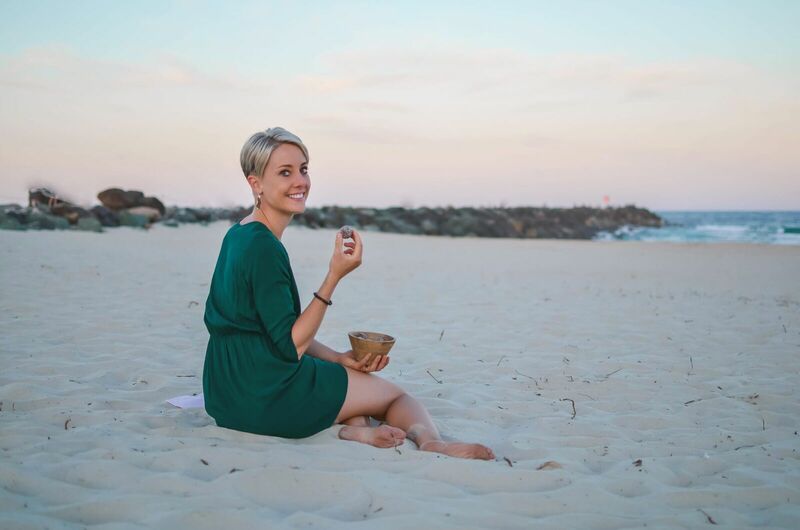 Salads don't have to be just lots of raw vegetables with a bland dressing. 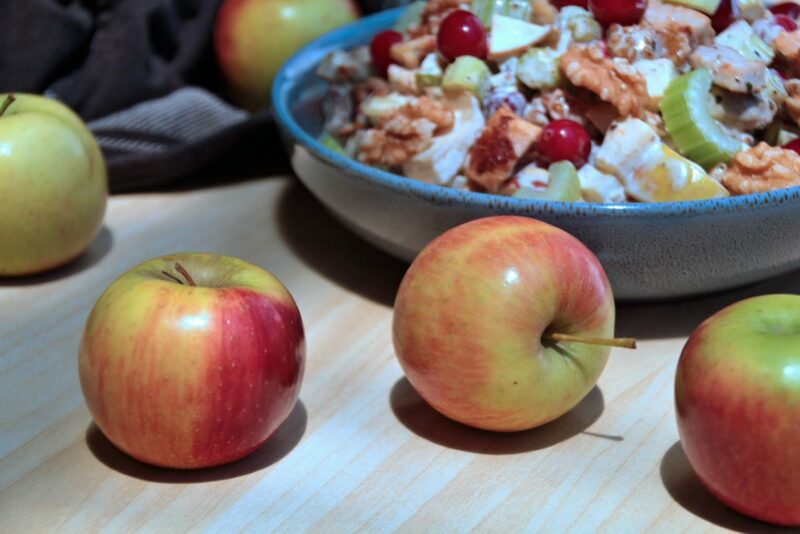 Add some protein and fats to the game like in this Chicken Salad With Apples And Cranberries (Paleo, Whole30) and enjoy salad as a main meal without noticing that you actually eat mostly vegetables. Mix 1 tbsp of yellow mustard with 1 tsp of mellow olive oil, add a pinch of salt and pepper and marinate the chicken thighs in the mix for at least 2 hours (refrigerated). Then fry the chicken on a frying pan on high heat with a spoon of cooking oil until cooked through. Let the chicken cool down and then chop it into small chunks. 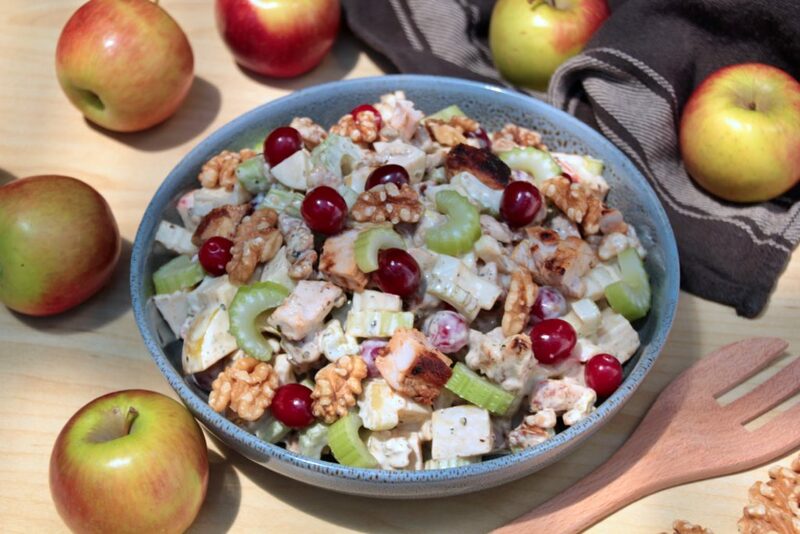 Place the chicken in a bowl and mix it with the celery, apple, cranberries and walnuts. Add the yellow mustard, lemon juice, mayonnaise, pinch of salt and pepper and mix together. Refrigerate the salad for at least half an hour before serving. Enjoy as it is or for example wrapped in lettuce leave.